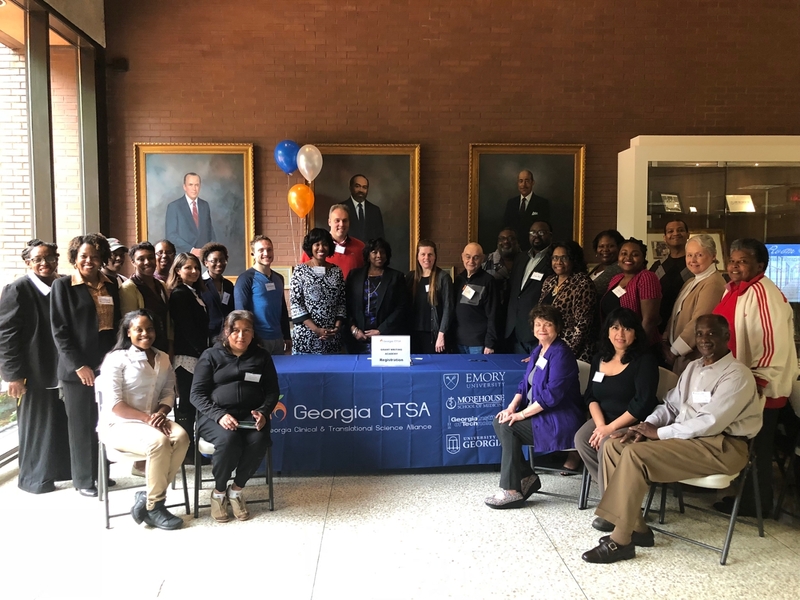 The Georgia Clinical & Translational Science Alliance (Georgia CTSA) Community Engagement Grant Writing Academy (CGWA) is a two-session writing class to provide accepted community-based organizations with the knowledge and skills to write a competitive research grant. The goals are to discuss and describe the components of community engagement research; identify and define a research interest; develop the framework for the methodology, research/evaluation plan, and budget - and write a competitive community-engaged research grant. To qualify, community‐based organizations (CBO) must have a yearly operating budget of at or below $300,000, must be a be a 501c3, non‐Profit, for‐Profit, or a limited liability company (LLC), and must identify two participants to attend the CGWA. Eight CGWA awards were granted with up to $5,000 to each awardee. The Georgia CTSA is an inter-institutional magnet that concentrates basic, translational, and clinical research investigators, community clinicians, professional societies, and industry collaborators in dynamic clinical and translational research projects. Emory engaged three of its close academic partners – Morehouse School of Medicine, Georgia Tech, and UGA – to form the Georgia CTSA. This partnership, a strategic multi-institutional alliance, offers compelling, unique, and synergistic advantages to research and patients statewide.